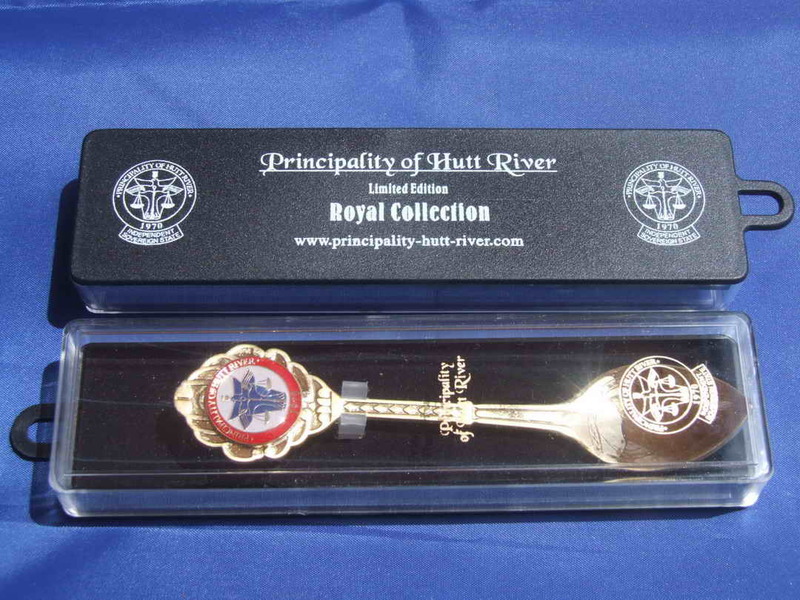 All gold colour is in gold foil! 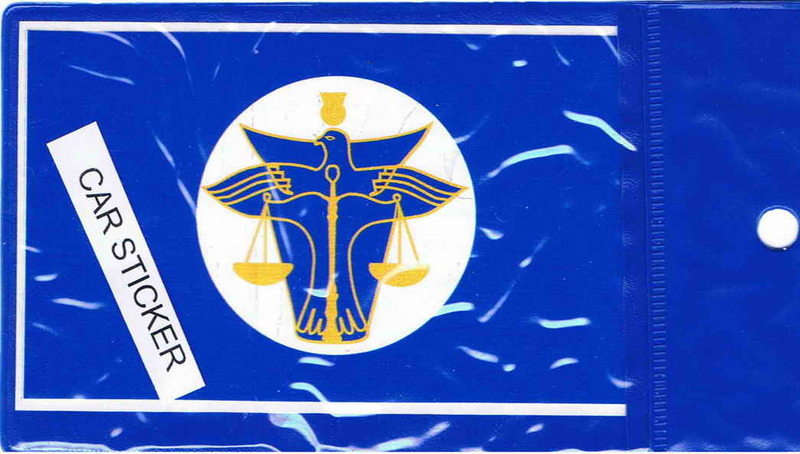 Unfortunately the scan does not show the reflective gold of the gold foil throughout this sticker. 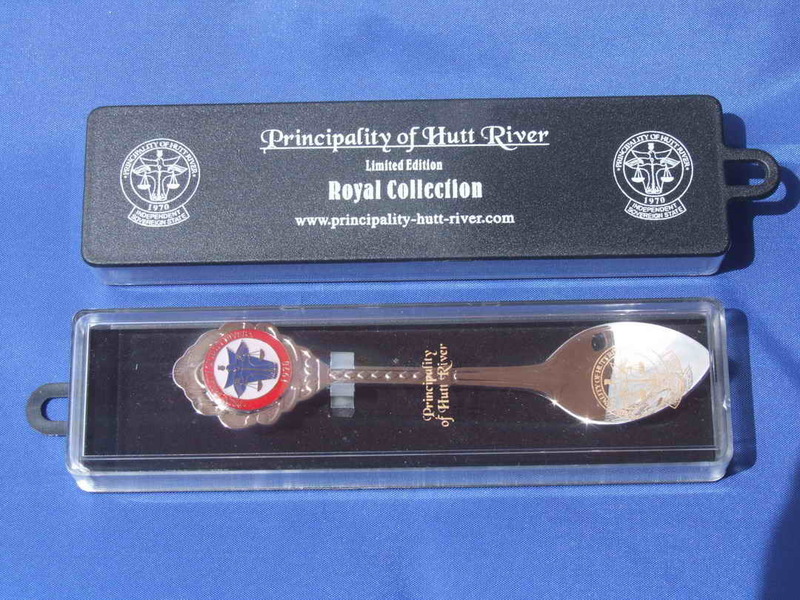 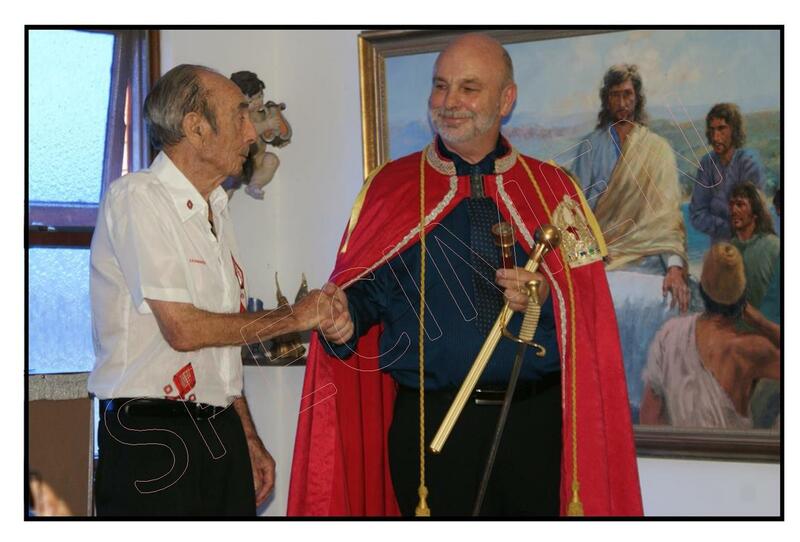 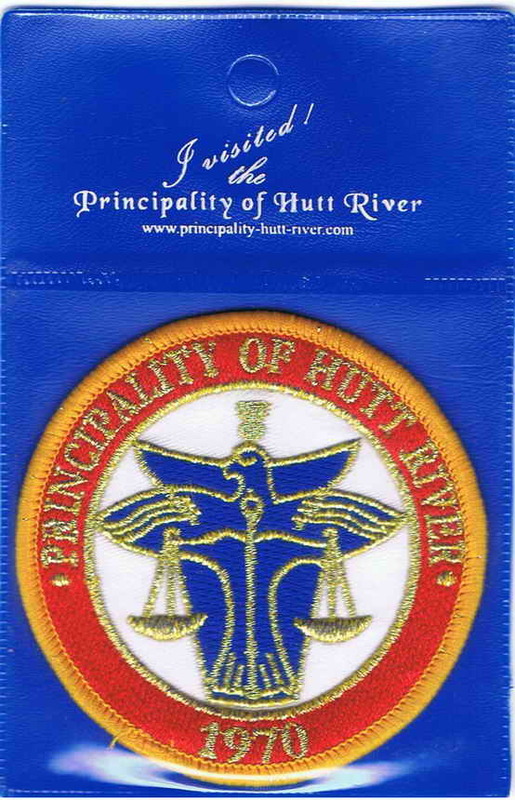 Supplied with a "Great Seal of Hutt" info card. 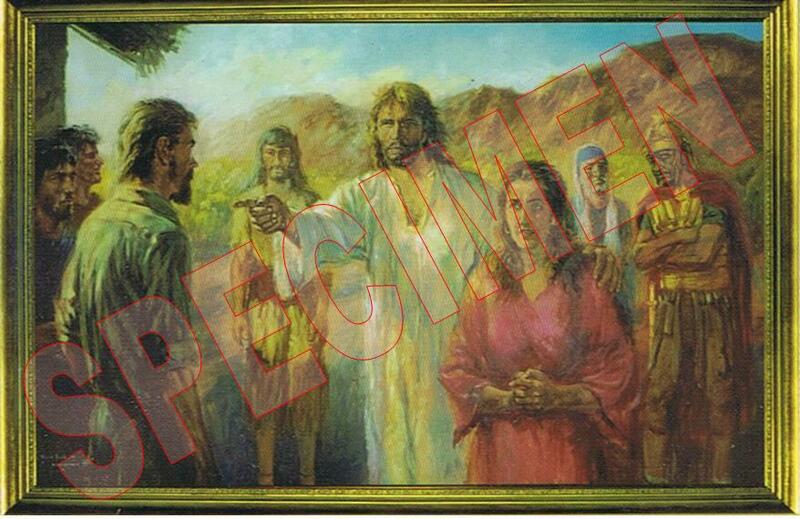 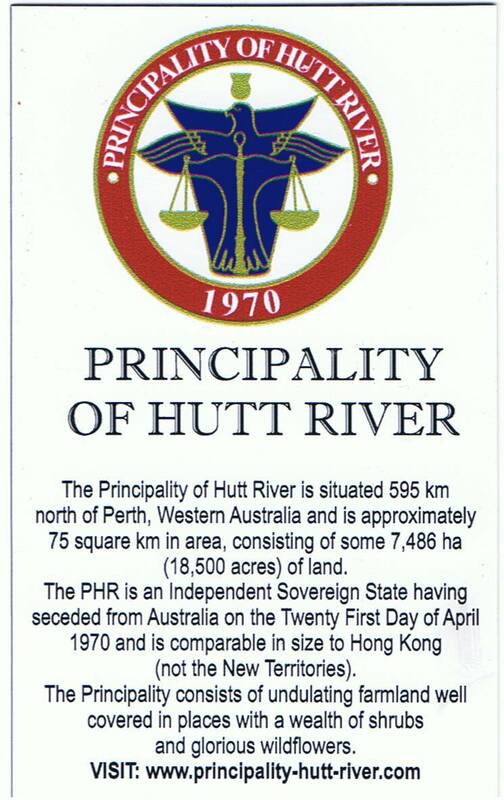 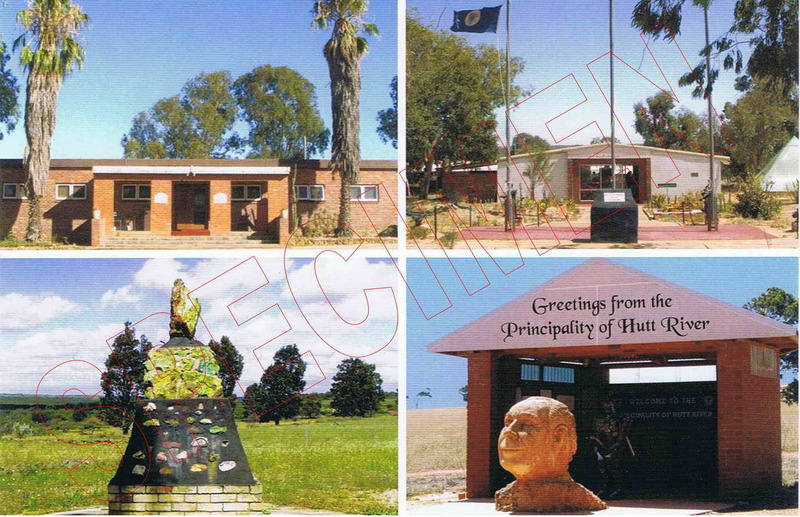 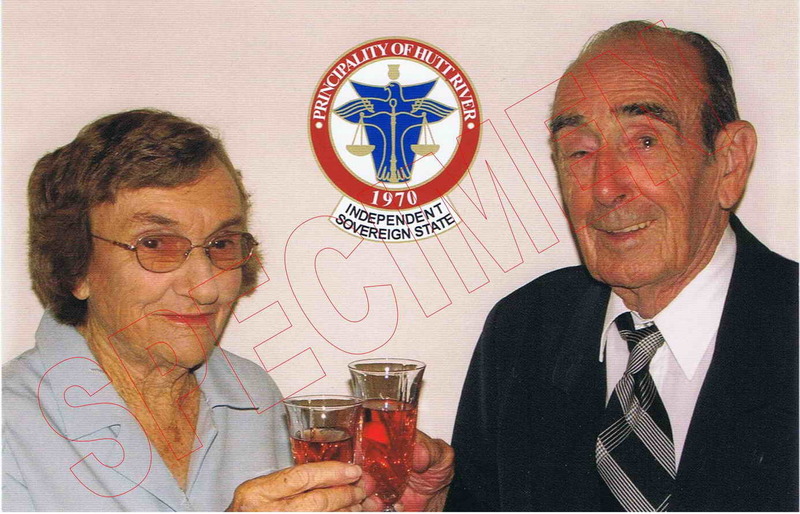 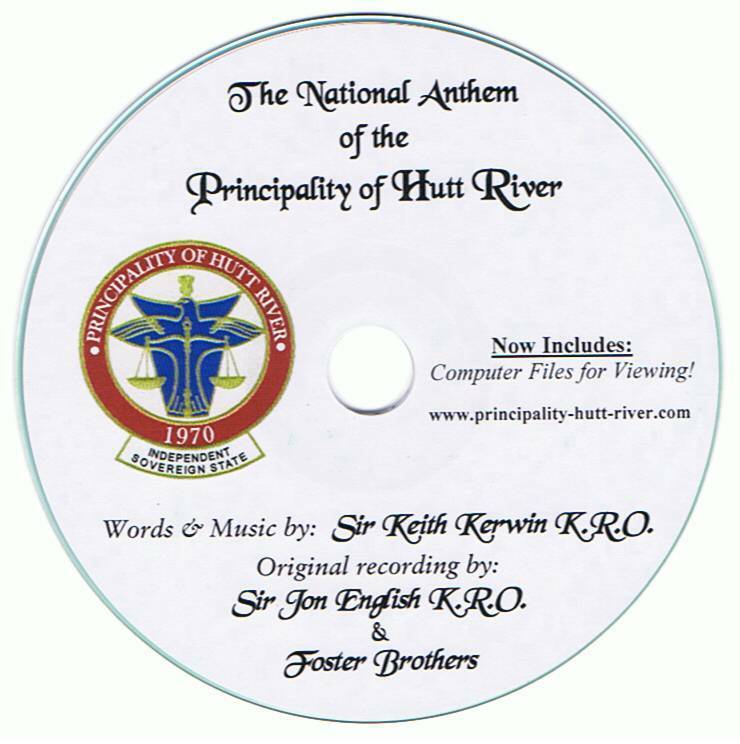 NEW 56 Page A5 size booklet answers all those common questions as to how and why the Principality of Hutt River came about. 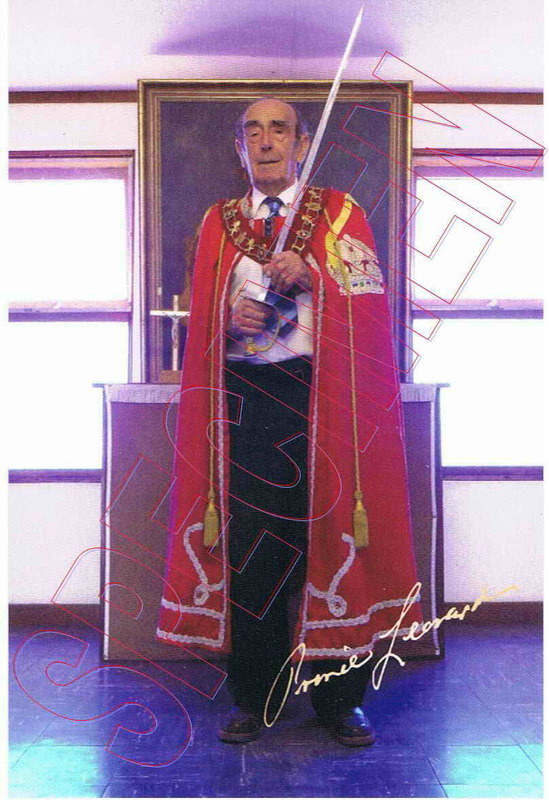 Includes colour photographs & graphics. 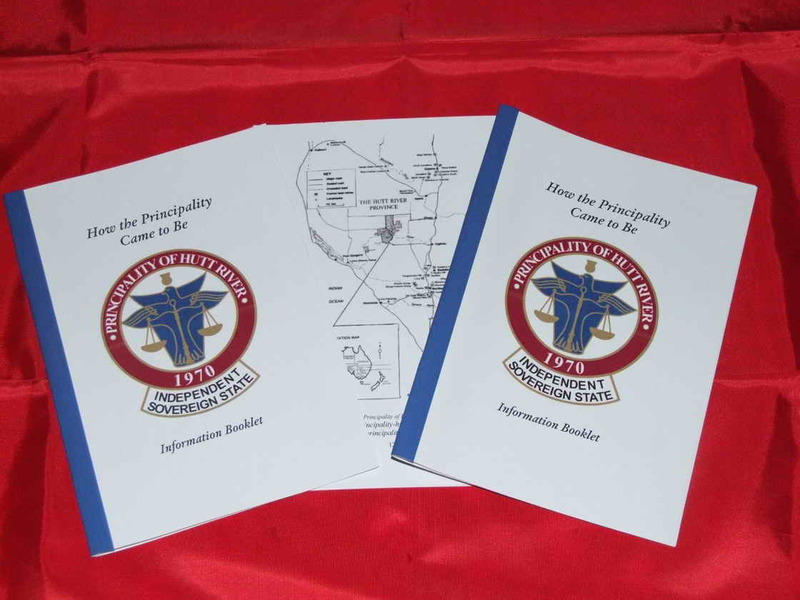 This informative CDROM for IBM/Windows systems includes copies of historic documents detailing the history of how and why the Principality came to be., It also includes Slide shows & Video presentations for viewing and many, many more pieces of information and history! 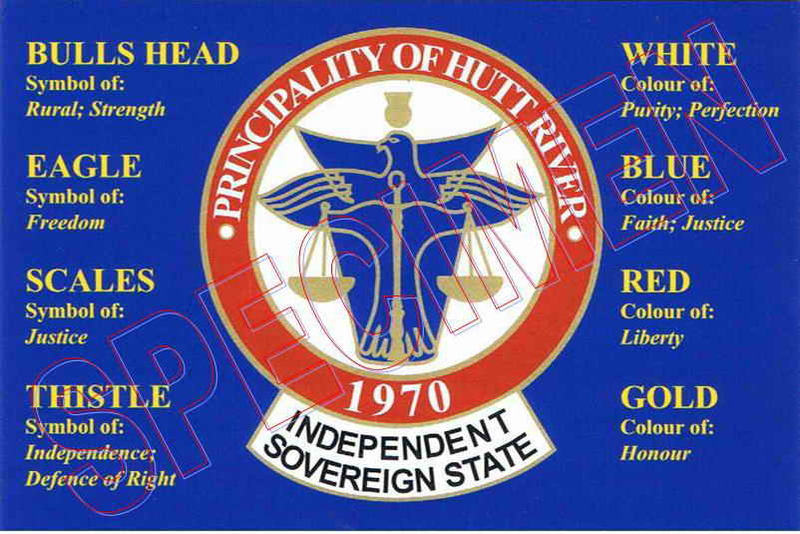 Perfect for those who want to understand the PHR and understand the reality of it's secession and existence. 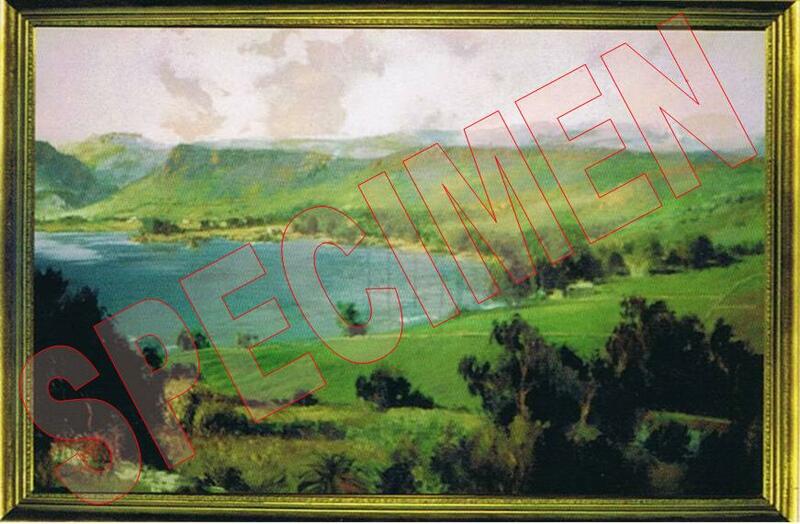 ALL POSTCARDS ONLY $1.50 each! 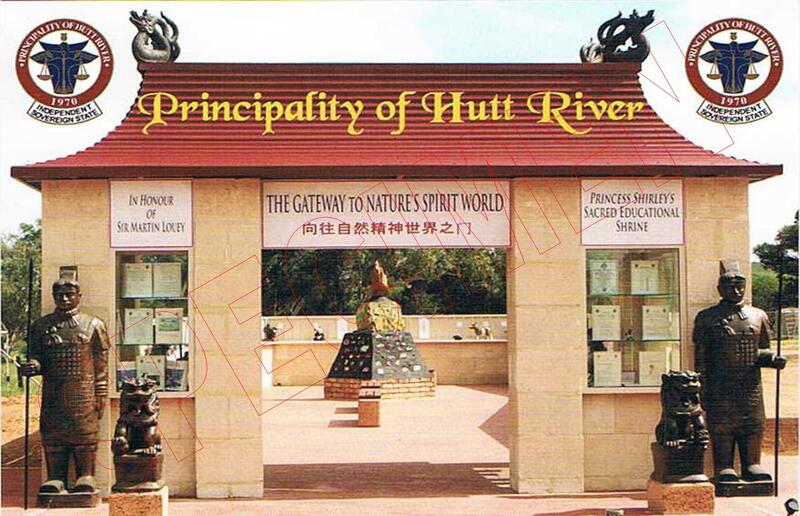 HRP Chapel of Nain "Internal View"
Gateway to Natures Spirit World. 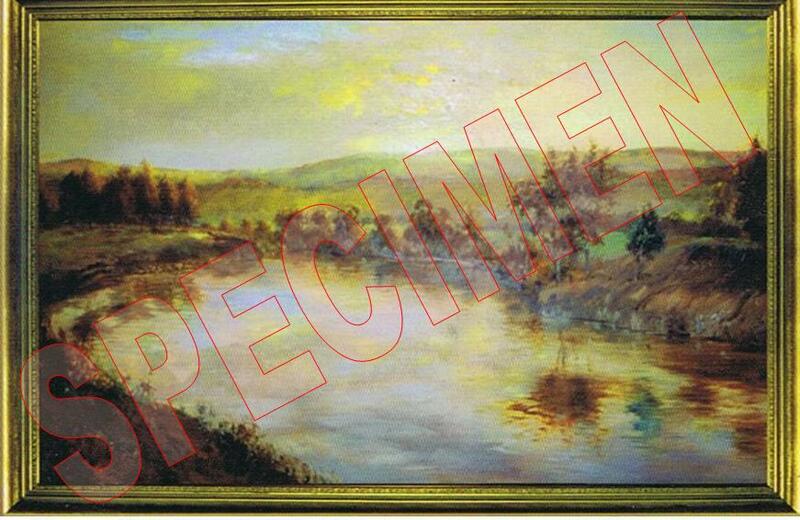 ALL above postcards are $1.50 each! 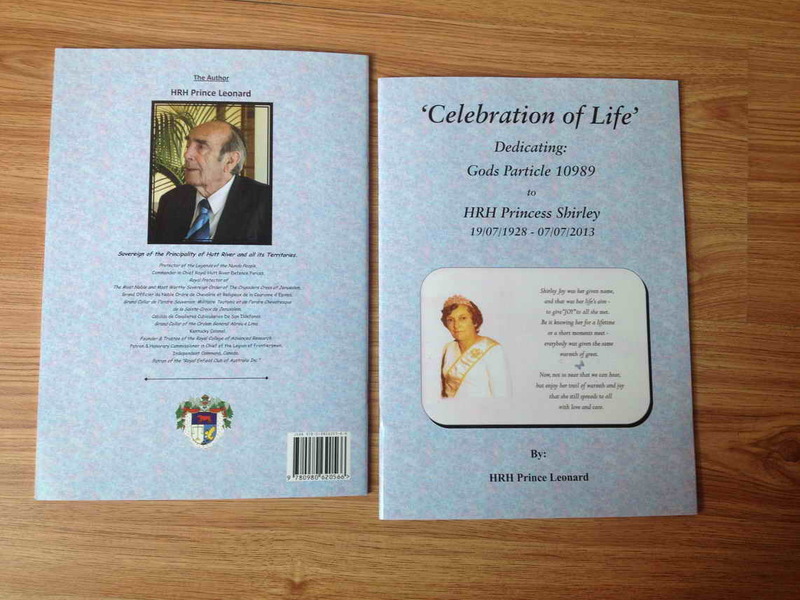 A book dedicated to the Late HRH Princess Shirley by HRH Prince Leonard. 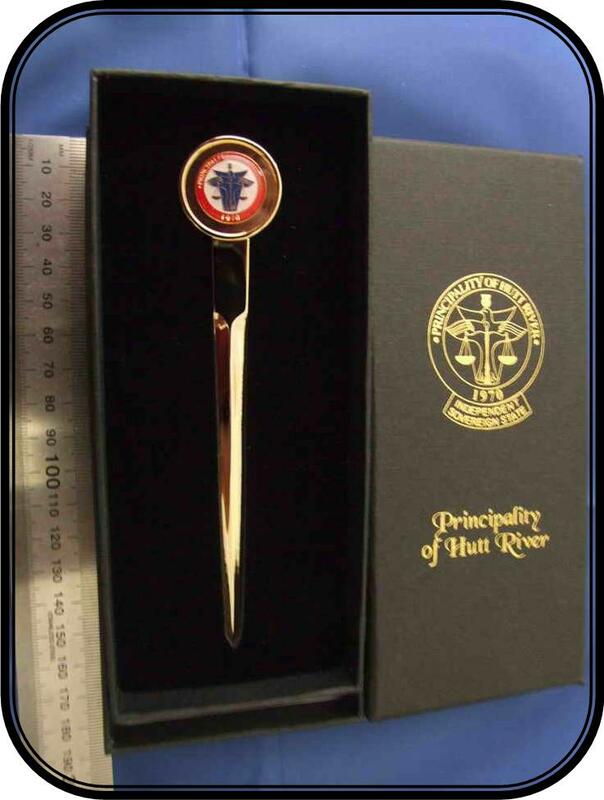 "Tie Pin with clasp & chain"
De-Luxe Letter Opener in presentation box - ONLY 50 MADE! 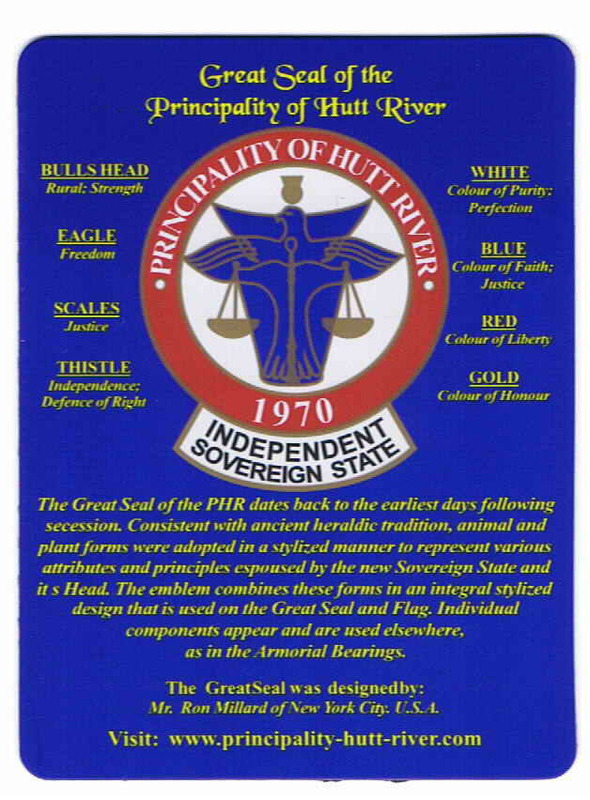 Great Seal of Hutt Range! 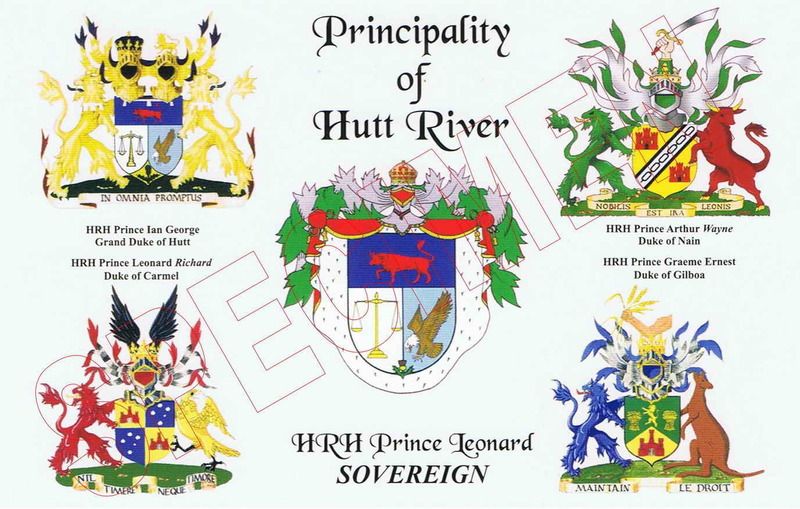 Click Thumbnail to Enlarge Principality Standard! 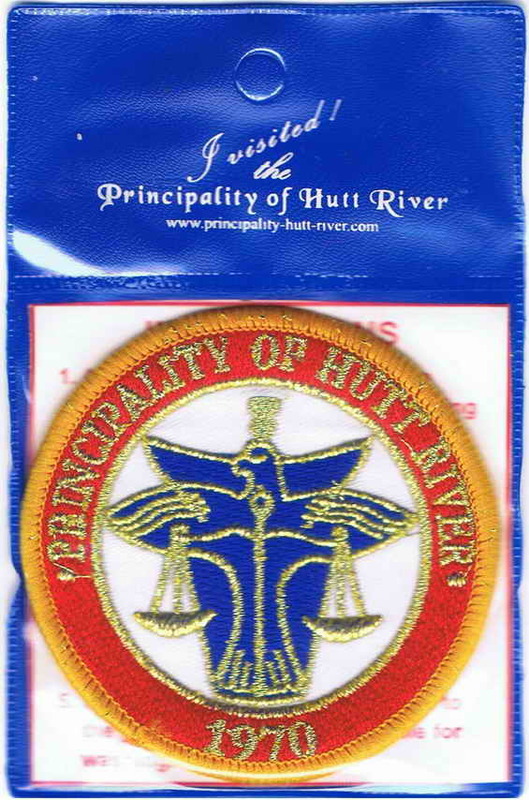 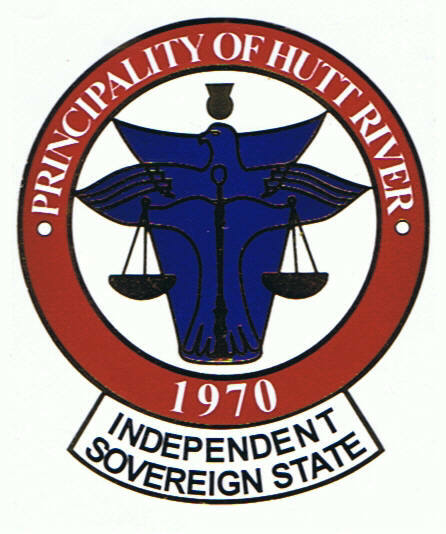 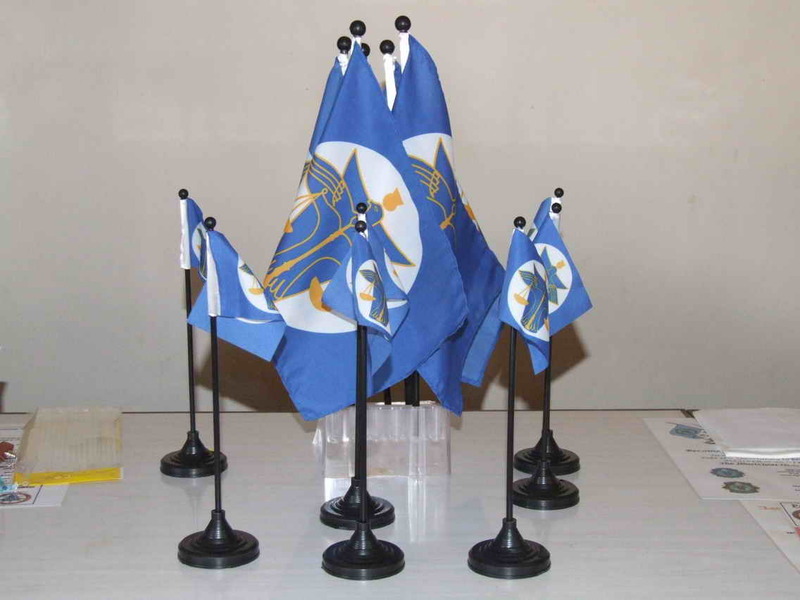 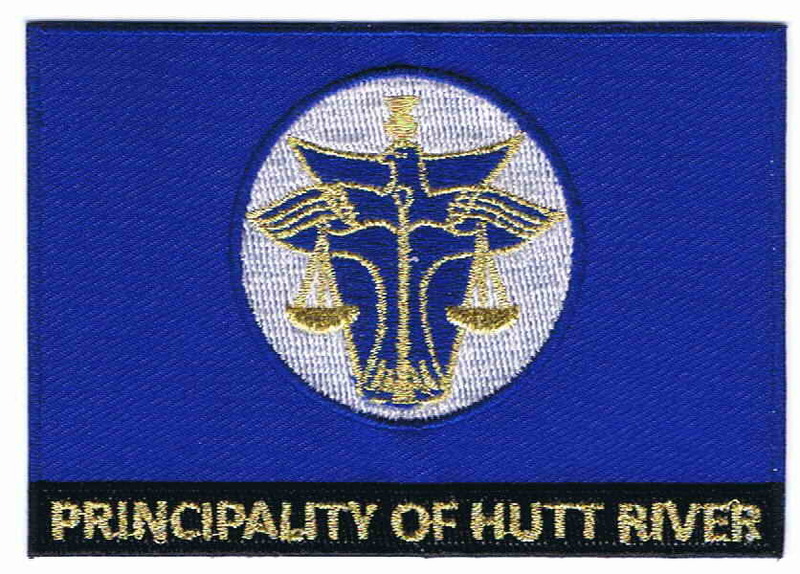 Principality of Hutt River Flag. 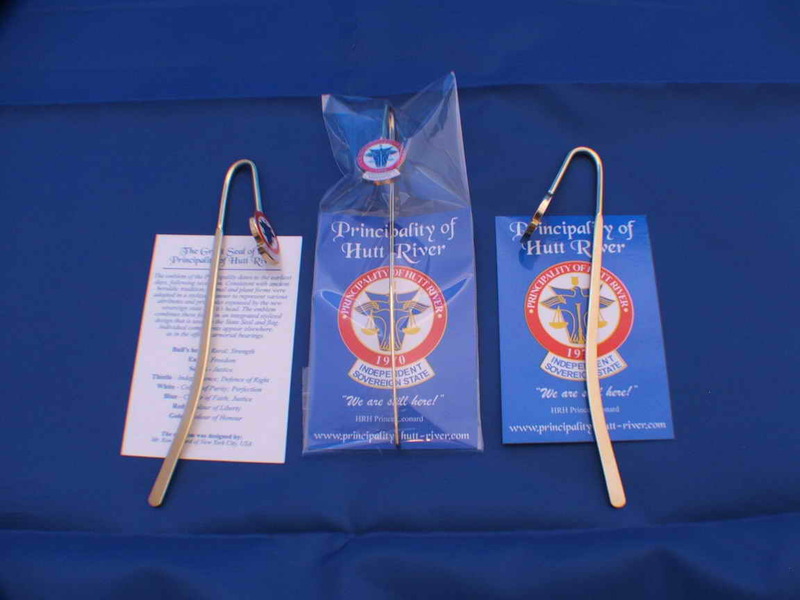 Mounting: Reinforced seams & metal eyelets for rope clips. 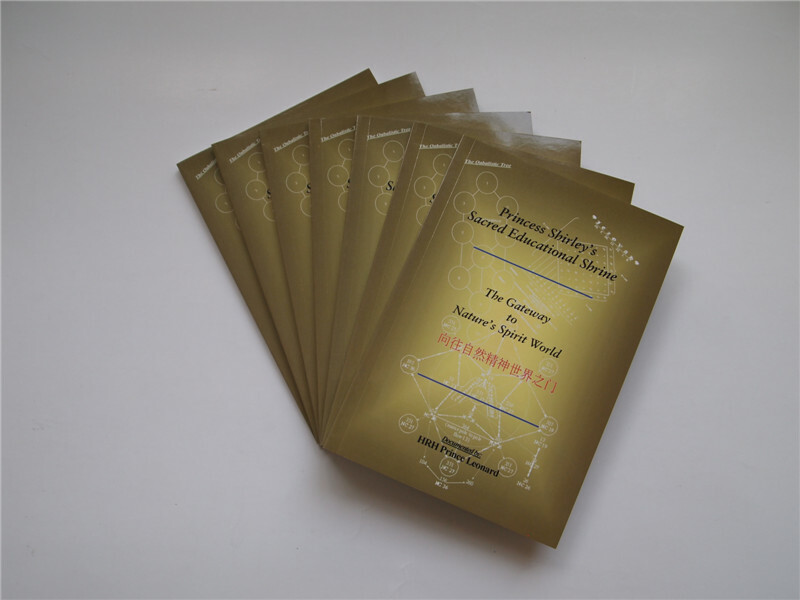 "The Gateway to Natures Spirit World"
Paperback from the RCAR consists of 85 pages of mathematical discoveries, found using ancient Gematrya. 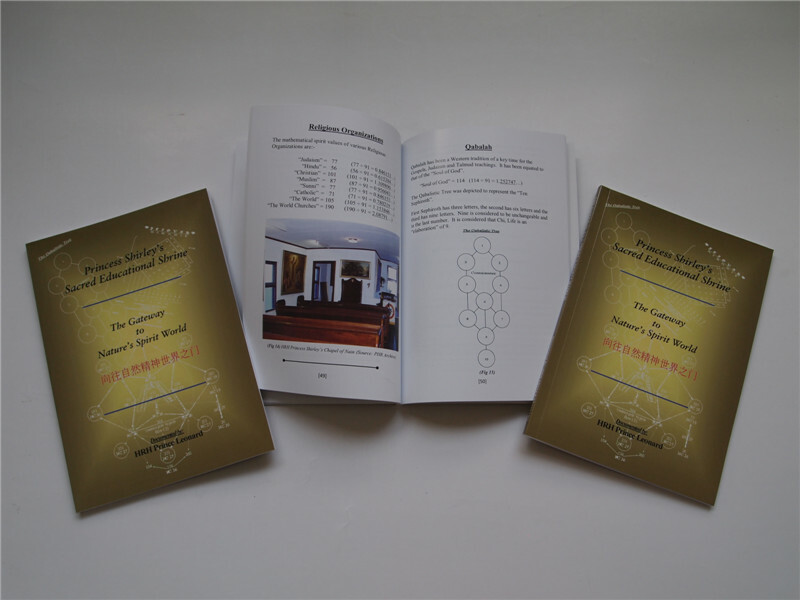 It includes the discovery and expansion of the 'Mathematical Value of the Spirit'. 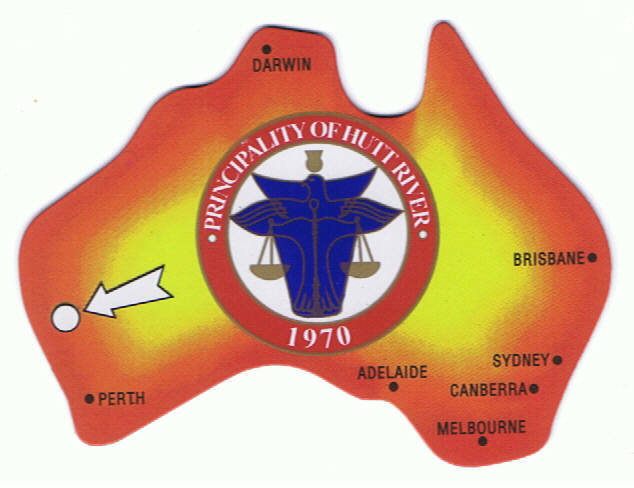 Many colour graphics & mathematical formulae's and charts that support and prove the findings. 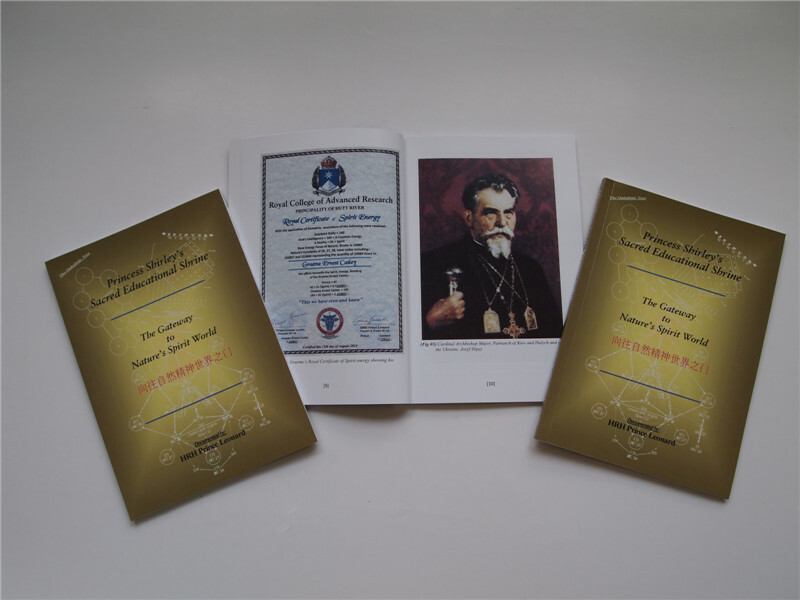 This book must be seen as one of the greatest leaps forward in mankind's knowledge to be achieved in a lifetime. 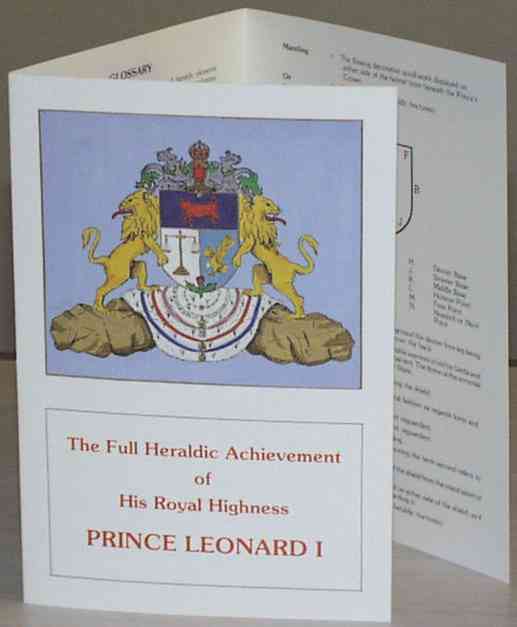 HRH Prince Leonard, Founder and Trustee of the PHR Royal College of Advanced Research which also published this book.